One must ask, what exactly does a warden do and how do you prepare for such a most complex job. 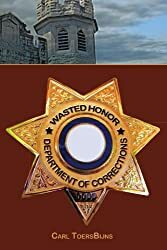 First and foremost before you take this long journey to becoming a warden or leader, ask your self honestly, do you enjoy working in corrections? Do you enjoy the work and efforts put forth in providing prisoners opportunities to rehabilitate themselves and prepare themselves for a successful return back to society? Secondly are you prepared to work endless hours until the task at hand is completed and ready for your signature and blessing to the top managers? Lastly, one must ask the question “do I enjoy managing people?” needless to say, these questions must be answered yes and it must follow up with other questions such as do enjoy long working hours and be held responsible for the lives of several thousand people including staff and visitors. Who, in fact, were the ancient Essenes? What secret doctrines did they uphold? Why did they keep their practices hidden? How do these writings relate to Jesus and His teachings? This vital book explores the pre-Christian origins of New Testament writings and the little-known mysteries of the ancient Hebrew sect called the Essenes. It explains their ‘Seven Devout Practices’. New evidence is presented concerning the conviction and crucifixion of Jesus, revealing the falseness of traditional accusations against the Jews. 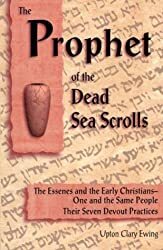 The author shows you why and how ‘The Sect of the Scrolls’, the Nazarenes, the Ebionites, and the Palestine Christians were one and the same people. Western civilization is risking the return of tyranny by increasing the size and scope of government. 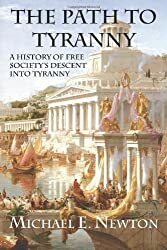 Throughout history, free societies descended into tyranny when their populations realized they can use the power of government to give themselves benefits at the expense of others. The Path To Tyranny examines how and why each of these free societies descended into tyranny and evaluates the current prospects for the United States. This entry was posted in Authors and tagged giveaway on May 3, 2011 by Mario Lurig. Very interesting books this month!